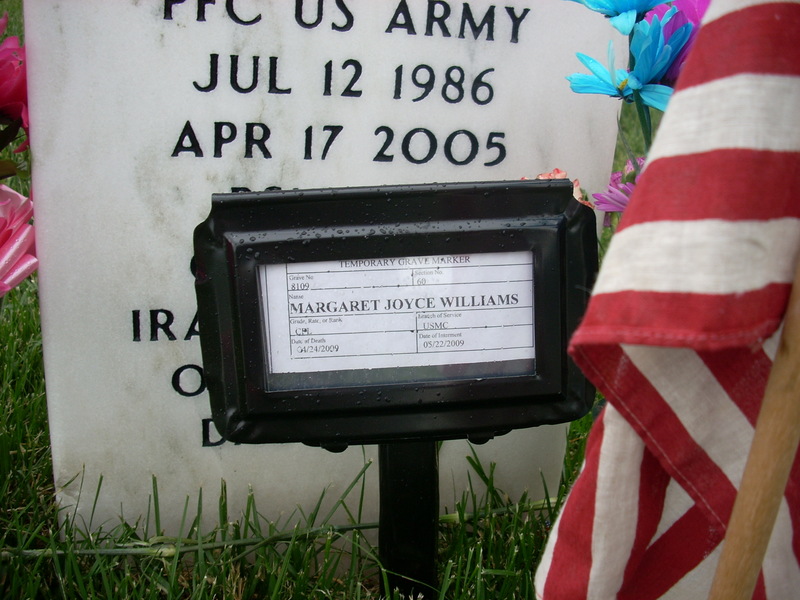 Margaret Joyce Williams, "Maggie" left her life with us here on earth. After nearly a five year battle against cancer, she passed April 24, 2009 at the age of 56. 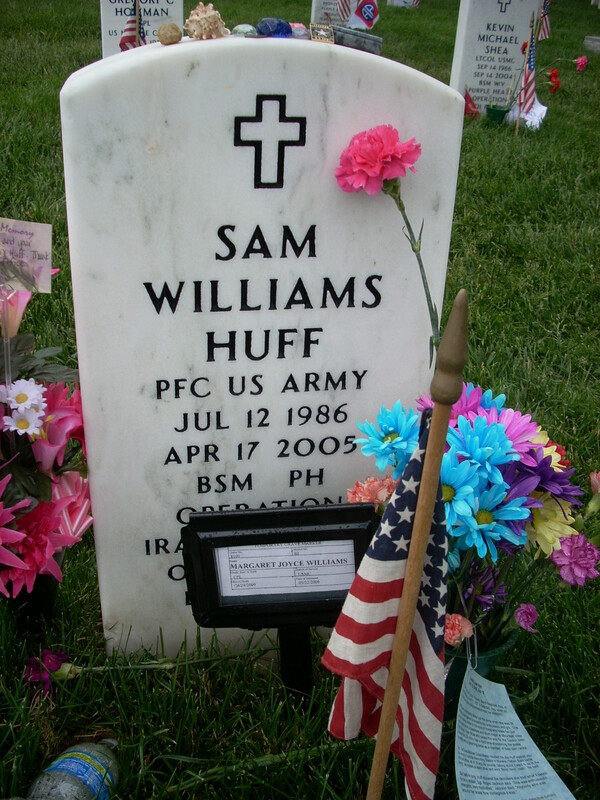 Her irrepressible spirit now soars with the angels, including her dear, departed daughter, U.S. Army Private First Class Sam Williams Huff. A Tucson resident since the age of three, Maggie graduated from Palo Verde High School in 1970 and joined the U.S. Marine Corps early the following year. 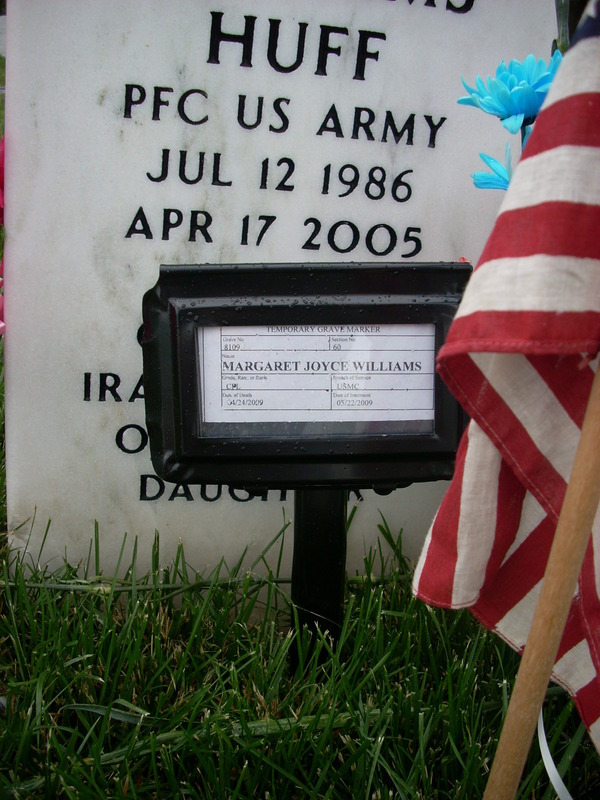 She completed boot camp at the top of her class and was awarded her "dress blues" uniform. Excelling at the Air Traffic Control training program in Glynco, Georgia, Maggie again finished first in her class, the sole woman graduate. She spent a majority of her three year hitch at MCAS El Toro, California, 3rd Marine Air Wing as an Air Traffic Controller, on occasion with personal responsibility for landing Air Force One with President Nixon aboard. Maggie also served on a General's flight crew. leadership abilities, coupled with her technical acumen helped the Oro Valley Police build one of the finest communications centers in the state. 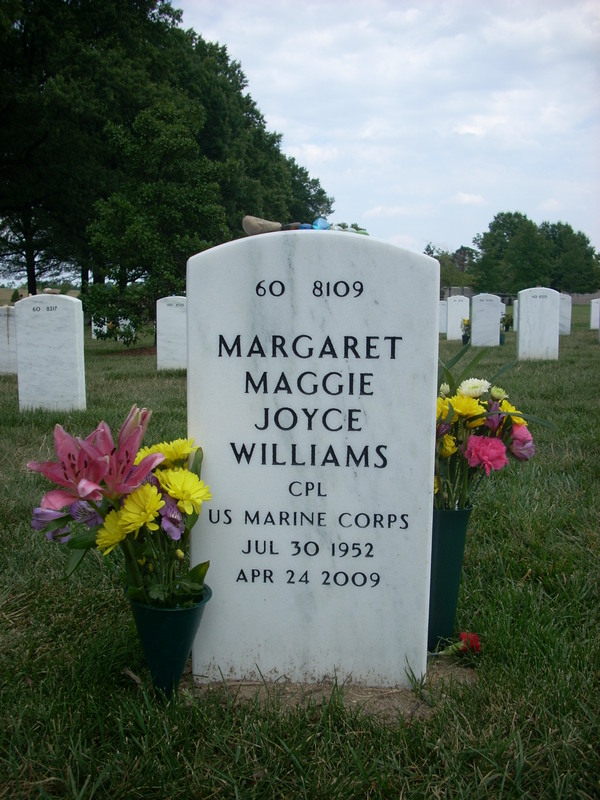 Following the onset of cancer and the loss of Sam to the War in Iraq, Maggie retired in 2005 to concentrate on fighting her disease. Maggie is survived by her husband, Robert Huff; her parents, Jud and June Williams; her brother, Doc Williams and his wife Izabel; her brother-in-law, Byron Huff and his wife, Sherry and her sister-in-law, Gloria Bennett and her husband, Ron. She will always be remembered as a strong, courageous woman with a big-heart who told it like it was and never shrank from a challenge. 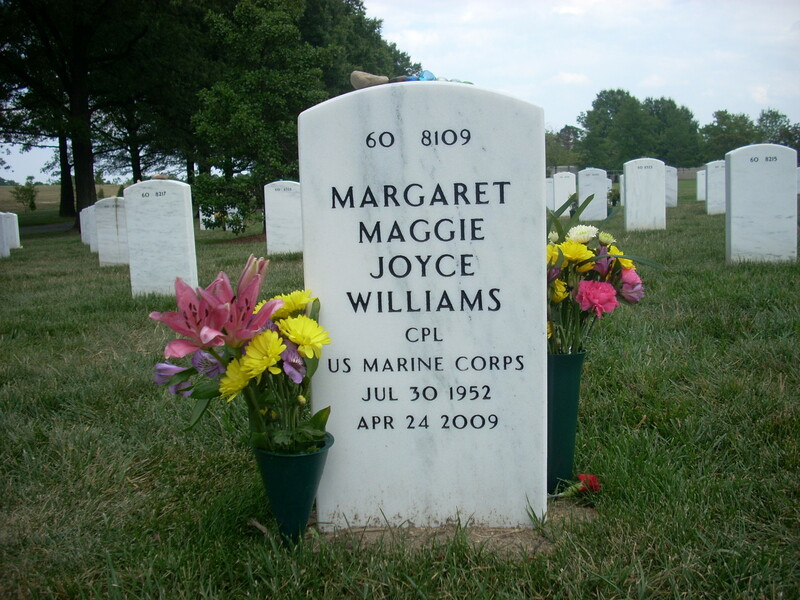 Maggie's remains will be buried with her daughter, Sam, in Arlington National Cemetery, and, at Maggie's request, there will be no memorial service.